Laid down, 25 November 1942, at George Lawley & Sons, Neponset, MA. 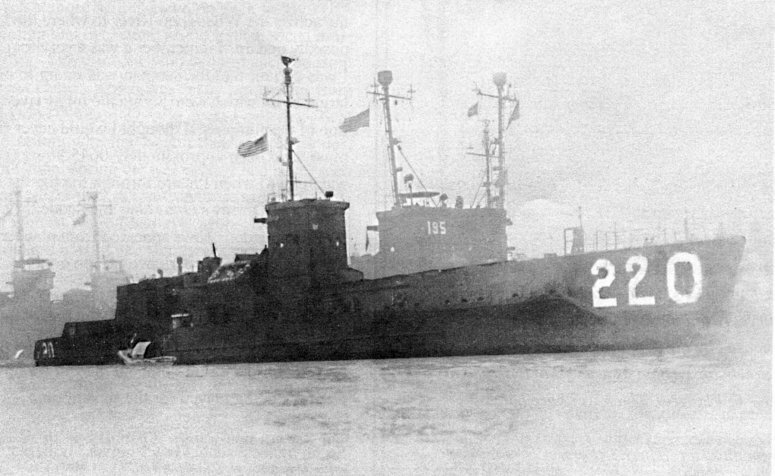 Commissioned USS LCI(L)-220, 25 November 1942. 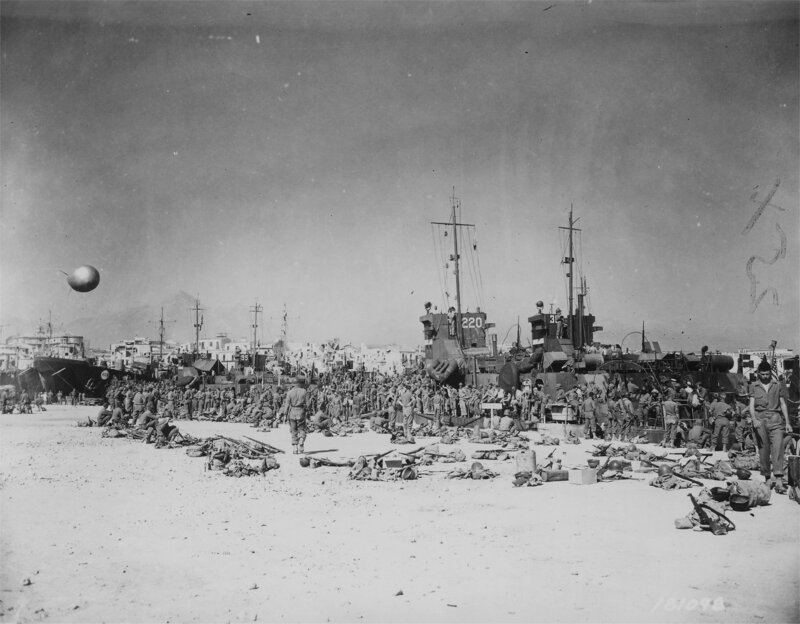 1565k Invasion of Sicily - D-Day photo of the invasion beach at Gela Sicily, 10 July 1943. USS LCI(L)-220 is broached at left, with a LCM from USS Bellatrix (AKA-3) unloading just off her bow. Two LCVPs are also broached along the surf line. Note jeep in center and 5-gallon fuel cans. Photographed by Osborne. 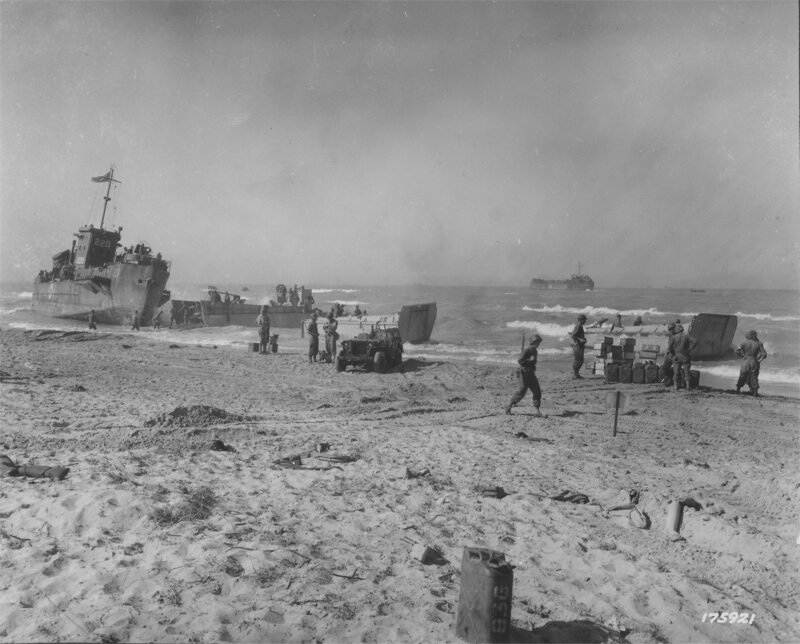 1141k USS LCI(L)-220 broached on the beach at Gela, Sicily, 10 July 1943, with several abandoned landing craft nearby. 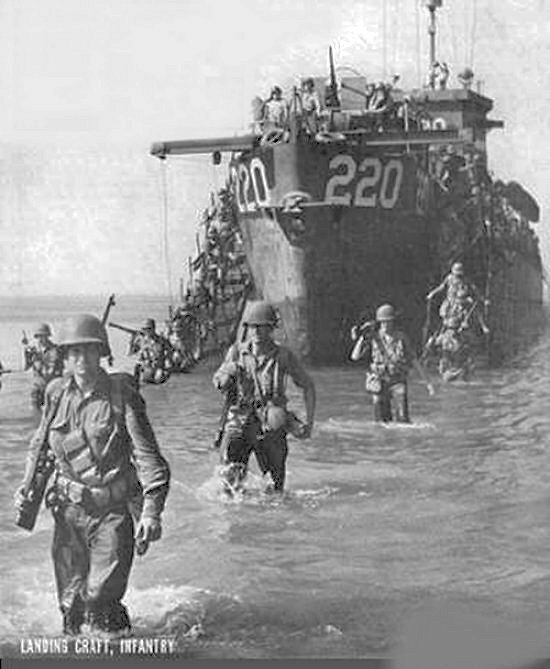 1361k From left to right HM LST-425 loading trucks and troops while LCIs USS LCI(L)-235, USS LCI(L)-95, USS LCI(L)-220 and unidentified LCI load troops of the 45th Division, 4 September 1943, at Palermo, Sicily for the Salerno landings, second wave, on 9 September 1943. 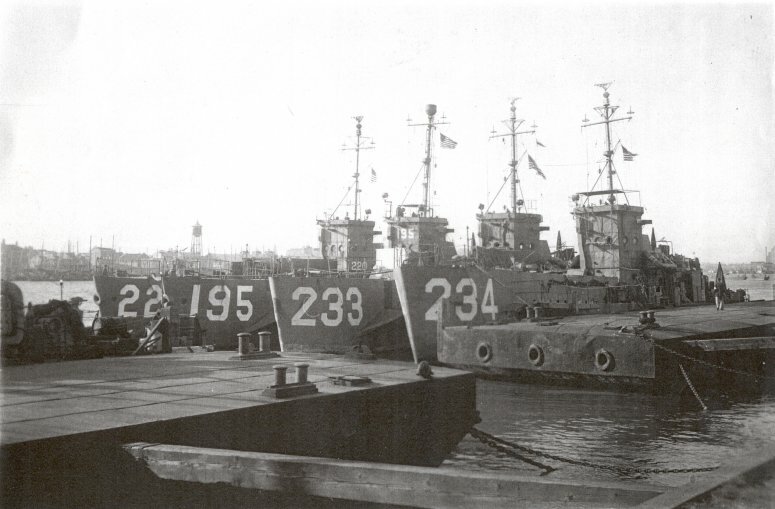 75k USS LCI(G)-220 and USS LCI(G)-195 moored at Shanghai, China, 11 January 1946. 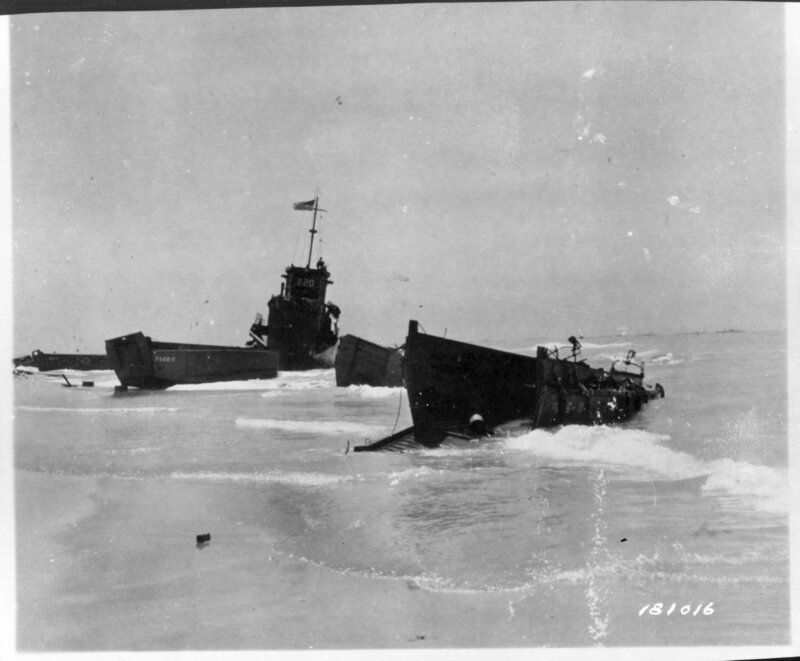 The additional LCIs in the background are assumed to be USS LCI(G)-233 and LCI(G)-234.